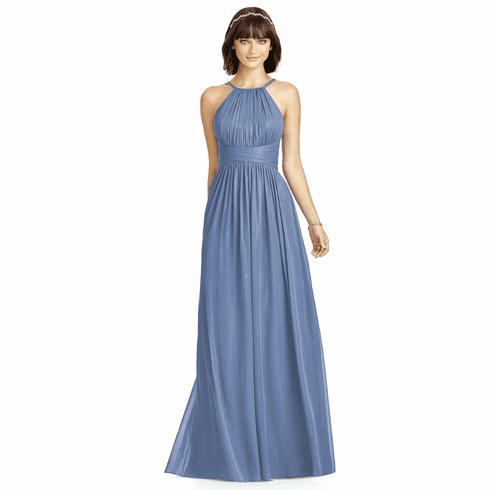 Description: Full length lux chiffon dress w/ modified halter neckline and open back. Spaghetti straps from halter create v-detail at back. Shirred bodice and midriff. Shirred skirt. Shown in Larkspur Gold.